Welcome Aboard IHC185™ Internet Horology Club 185 IHC185™ Discussion Site Main Page Open to the World RESEARCH FORUMS South-Bend Watch Company Research Forum 227 and 429 - becoming addicted. I posted a few days ago about my one and only watch, a 229.. I've decided to get a correct case, dial, etc for it and make it what it was meant to be. In the meantime I've bought two more really nice South Bends.. A 227 and a 429. Someone save me before I get carried away! I'm in need of a case screw for the 227 if anyone may have an extra.. Funny that you should add South Bends, as I was just thinking that I need to get my hands on a Studebaker and South Bend sometime soon. Well South Bends are a natural for me.. I grew up in a family of Studebaker car and truck owners. Here at age 22 I've owned nearly a dozen Studes myself, but sold the last one off a few months ago. 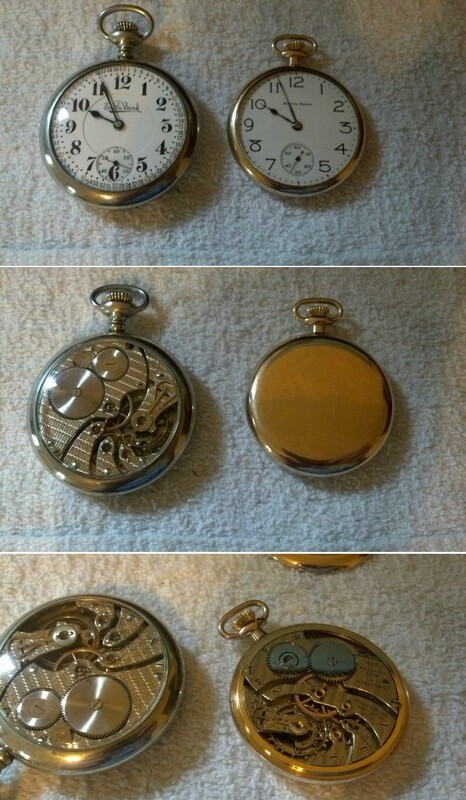 The watches are a nice alternative, and don't take up nearly the space! Honestly I would take the dial off your 227 and put it on your 229. The 227 would look fine with a standard double sunk dial while it is currently carrying a correct dial for a 229. I would have the case screw but am away for christmas right now. I will email you when I get back on it. Jared, that is exactly what I plan to do; use the 227's dial on the 229. If anyone has a suitable dial for a 227 they'd like to sell, I would be interested. 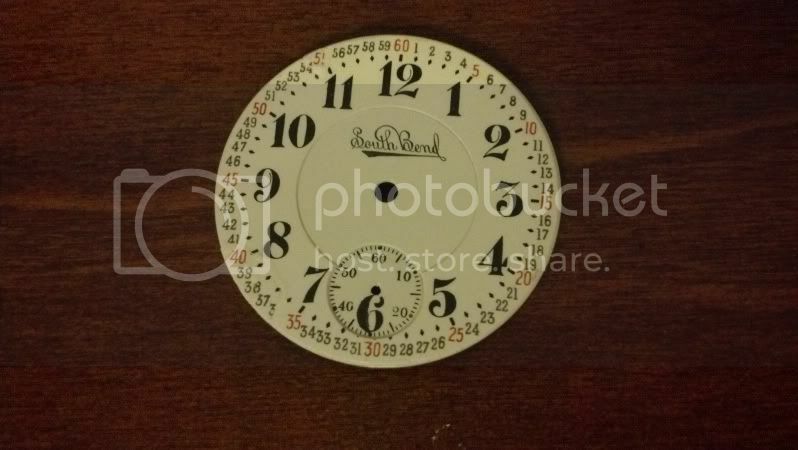 I have a later "Studebaker" dial I could use on the 227, but I'd rather keep it authentic. I have some sitting around, but they won't be cheap! Well shoot me an email when you get a chance with what you have. mbstude@gmail.com Thanks! Not a problem. I will send an email when I get back later this week. Played around with a porcelain/ceramic repair kit tonight.. Compare this pic with the first one. Much better than it was. Quick Reply to: 227 and 429 - becoming addicted.